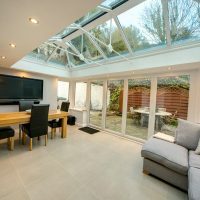 We install Glass House Extensions across Stevenage, Hertfordshire, Welwyn, Cambridge, Radlett, Waltham Cross and surrounding areas. 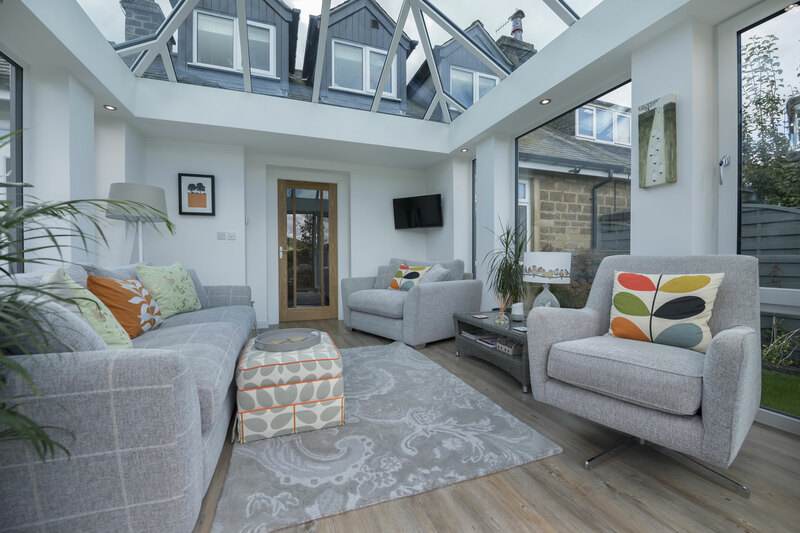 Serving as a beautifully bright and spacious place for you to relax and enjoy, our Glass House Extensions combine the Classic roof system with high performance glazing to ensure exceptional standards of thermal efficiency and weatherproofing. 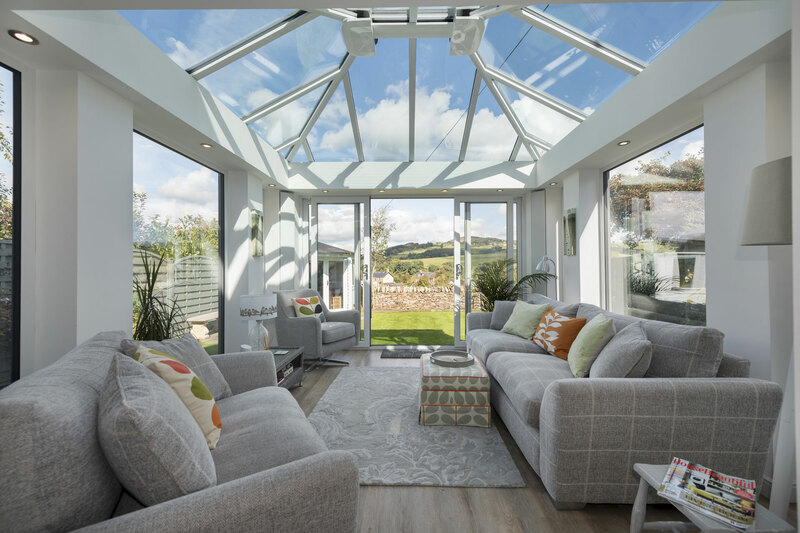 This means that our Glass House Extensions will prove to be a fantastic place for you to relax across the year, bringing the best of super insulated columns and an insulated internal pelmet to help you to enjoy a structural and comfortable feel. 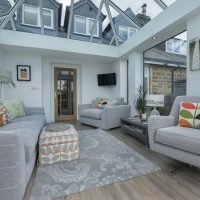 Due to modern innovations, the high-performance glazing used in our Glass House Extensions works to reduce overall solar gain in the summer and increase heat retention during the winter. This means that you won’t have to worry about being too hot or too cold! 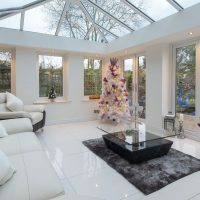 For your peace of mind, our Glass House Extensions are structurally designed to meet the snow and wind loads in your area. This is achieved through NASA satellite data, which assesses the weather patterns of your post-code. You’ll be able to enjoy a tailored standard of performance. 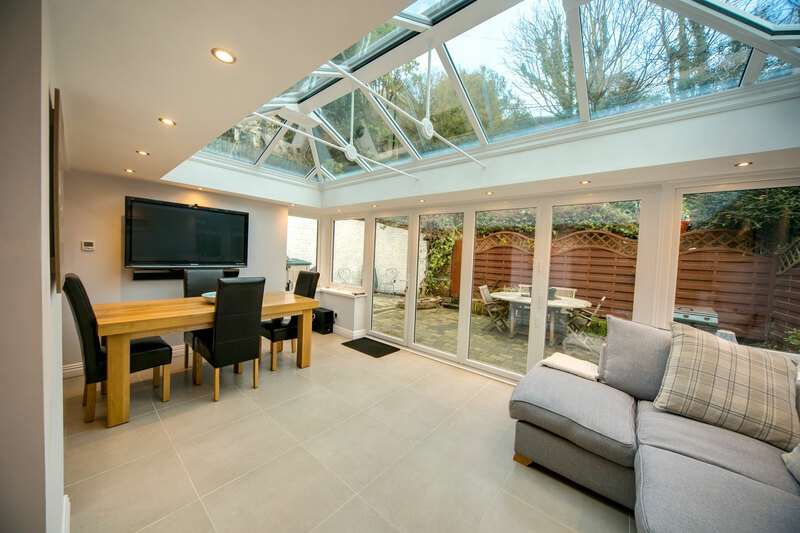 To make sure our house extensions achieve an authentic ‘room-like’ feel, they are installed with an insulated internal pelmet. 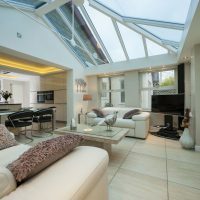 This runs along the inside perimeter of the roof, and can be fitted with speaker and lighting options that enable you to control the feel of your room. They also comprise an insulated cavity to ensure heat loss is reduced. Maintaining the outside look of your house extensions is just as important as the outside, which is why we offer a choice of decorative cornices for you to choose from. These cornices are put in place to conceal your guttering for a crisp and clean look, and can be fitted in a one, two or three tier option to make sure it is the perfect fit. Super insulated columns specialise in bringing a robust, structural and comfortable feel to your home. Their modern design allows them to achieve a standard of thermal efficiency that is five times more effective than a brick pier of equivalent size and comprises an aesthetic that has been inspired by the architecture of the Italian Renaissance. 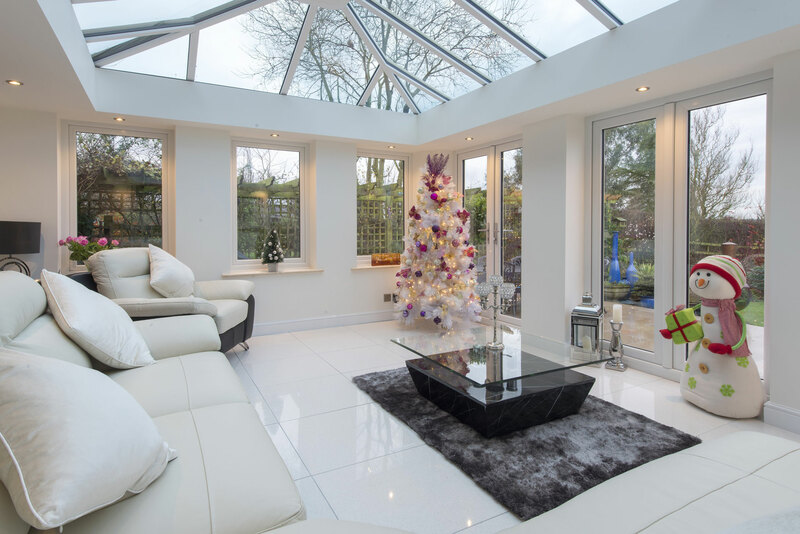 Our Glass House Extensions are the ideal solution for keeping you warm and comfortable throughout the colder winter months. Not only does this mean that you won’t have to worry about the weather, it also means that you could find yourself saving money on your heating bills across the year as you rely less on your central heating. 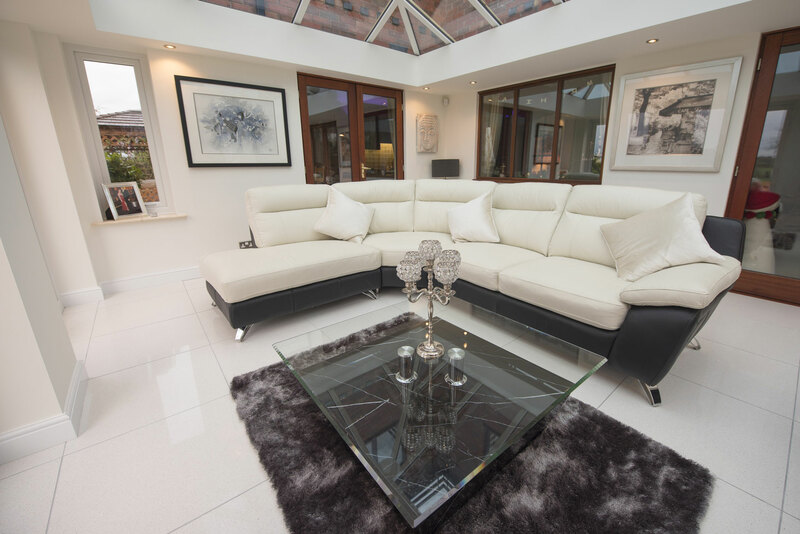 To help you to bring the right fit to your home, our Glass House Extensions can be fitted with a choice of roof options. 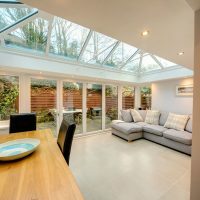 This includes a uPVC Classic roof, an aluminium Classic roof or a stunning Ultrasky roof to bring something that really stands out. 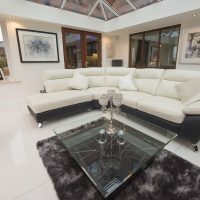 Whatever the style or size of your property, we’ll have something to suit. 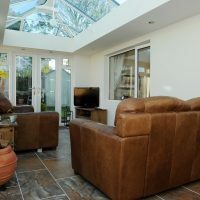 To fit the space that you have, our Glass House Extensions can be fitted in a choice of shapes. This includes double hipped with a box gutter, Lean-To, Georgian and Gable. 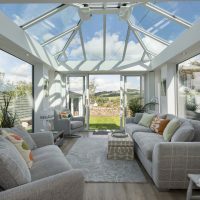 Unique in their own way, these conservatory shapes are sure to suit what you’re after, whether you want something modern or something with more of a timeless feel. 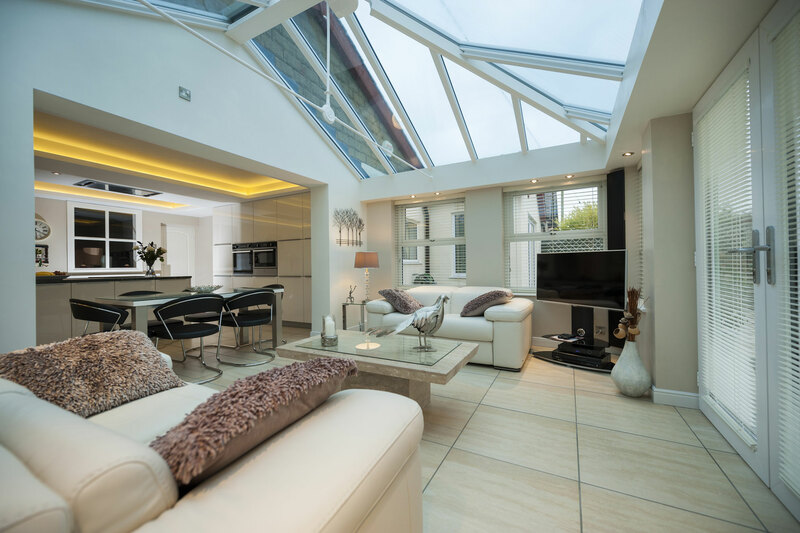 Our Glass House Extensions can be fitted with a wider insulated perimeter pelmet and/or central lighting panel. This not only helps you to create a more comfortable place to relax, it also enables you to control the feel of your new room. 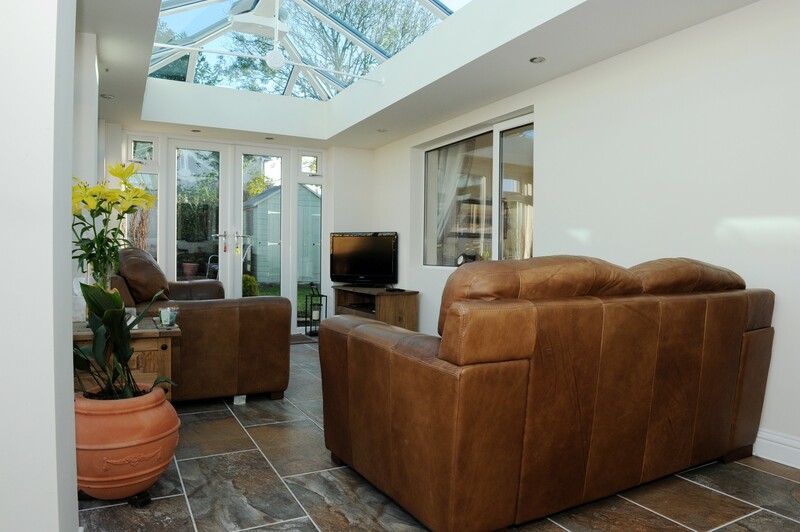 Further to this, these extensions can be fitted in any colour to ensure it matches your tastes and your preferences. We know that you want to enjoy your new extensions as quickly as possible, with minimal disruption to your daily life. 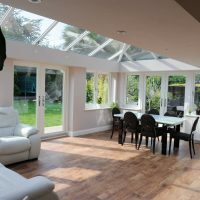 We make this possible by offering house extensions that in full compliance with building regulation and planning permission requirements, which means you won’t have to worry about any dreaded red tape! 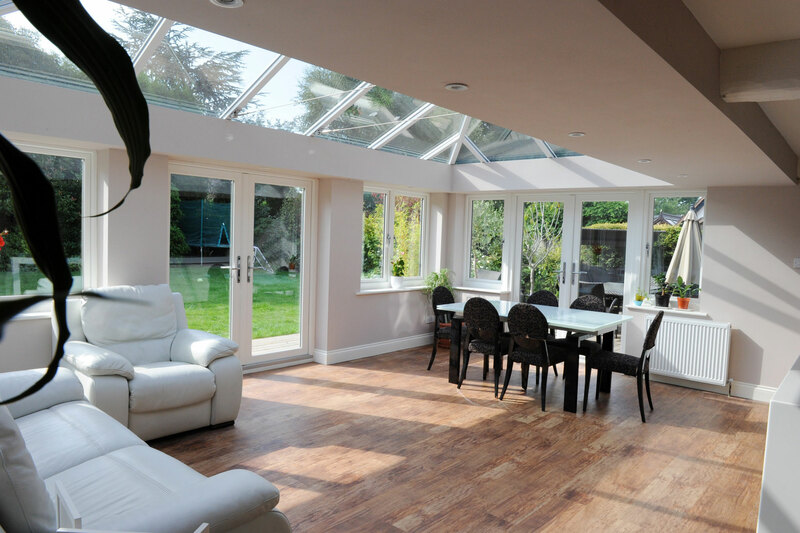 All of our Glass House Extensions are accompanied by a comprehensive 10-year guarantee, which means you’ll be able to enjoy the peace of mind that comes with better standards. They are also manufactured using premium grade materials and professional installation techniques to ensure they continue to deliver the highest standards over many years. 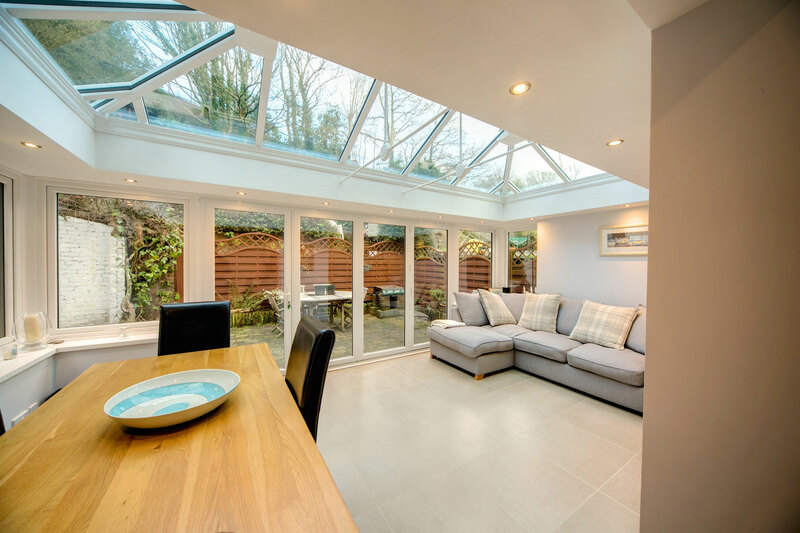 Get in touch with us via our online quoting engine to get a free, instant and highly competitive glazed house extensions price. You can also get in touch with us via our online contact form should you prefer to get a price this way, or if you have any questions about our extensions.